Buzz this past week was all about the new Penguin 2.0 updates, and the ways in which this new generation of search engine indexing will have an impact on SEO. Google Distinguished Engineer Matt Cutts addresses these changes in a video that both allays concern and explains what we can expect from the new and improved Penguin. The most important message is simple: websites focused on meaningful content have nothing to worry about. Furthermore, much of the furor over “bad links” simply isn’t true. Any link that Google deems low quality will not help your rankings, but they won’t hurt you, either. After all, imagine the possibilities if they did. If low quality linking was harmful, destroying the SEO of your competitors would be easy. You’d simply purchase toxic links, direct them at your rivals, and watch their rankings tank. Fortunately (or unfortunately for some), Google hasn’t made it that easy. Along with changes to linking, and the relationship between advertorials and Page Rank, Cutts reminds us that webmaster tools will also be beefed up, with even more specific data made available for users to understand what’s happening on their websites. Change is coming, but ultimately, these shifts will only help focus and strengthen a great SEO campaign. Don’t Forget Product Landing Pages! Don’t get caught neglecting your bread and butter! Product landing pages are important for any website, and we’re not just talking product descriptions. Too many businesses just focus on their homepage marketing message and branding, leaving everything else to luck and someone’s college age son who might have a yen for website design and a flair for fonts. Don’t get caught neglecting your bread and butter! 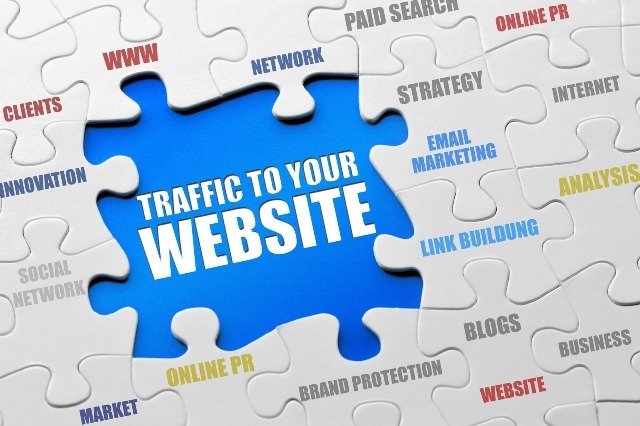 Optimizing these pages for consumers, as well as the search engines, is key to building traffic and increasing online conversions for your business. First, is your product page optimized for SEO? Do you have essential keywords utilized, along with meaningful content that will attract the search engines and your customers? It’s not enough to have a picture, a price, a SKU and how many colors it comes in. Same goes for the endless paragraphs of boring text that demand a viewer’s time as well as his wallet. Don’t count on either in that case… Time to call Captain Marketing to juice up your copy, in order to create something visually compelling that lets your customers know exactly what this product is, what distinguishes it from others in the marketplace, and why they need to get it right now. And with the appropriate back end tweaks and keyword density in place, you’ll get a boost to your SERP rankings as well. Reputation Management with the Captain! 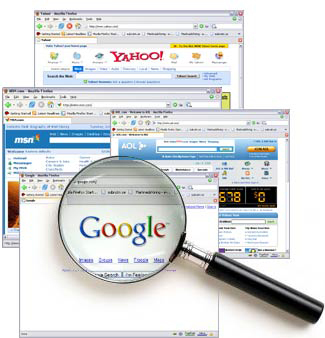 One of the reasons small businesses frequently shy away from doing much Internet marketing is data collection. “I don’t know how.” or “It’s too complicated” are frequent refrains when it comes to managing a Pay per Click or SEO program. And yet, gathering data about your users experience online is one of the most important and powerful tools any business with a web presence can use in creating an effective online marketing strategy. What does your bounce rate look like? 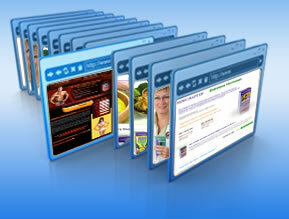 Where do your potential customers go after they leave your homepage? These are only two of the critical, make or break questions that any credible marketing department should be able to answer for you, and yet, too often, when the marketing department, and the sales department, and the customer service department is say, one person in a small business…these issues fall by the wayside. Get smart about how you manage your online presence. In the long run, you’ll spend less money and get more for the investment you do make when you can track changes and their effects on your conversion rate. 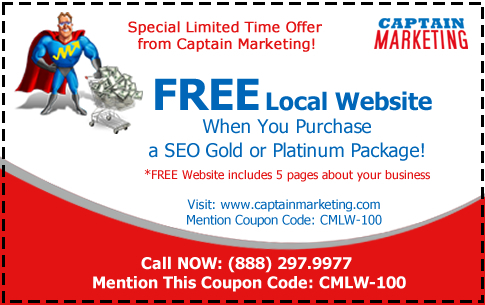 Get Captain Marketing, a marketing company that specializes in handling online strategy for small to midsize businesses. Aside from the obvious SEO, SMO, PPC, SME, web design, copywriting and online reputation management services we provide, the main benefit to hiring a company like ours is simply data management. We track your results. Our results. What your customers are doing when they come to your site-and what they’re not. Information like this can change the way you do business, helping you to shape your products and services to adjust to a constantly changing marketplace. Having an expert help you to gather and interpret the data-and plan future strategy based on its conclusions-can be what determines whether you simply survive online, or find ultimate success and profitability as a real Internet contender. 2.) Ever Google yourself? You don’t have to be a rock star to find sometimes-unwanted fame on the Internet. A single disgruntled customer can make the difference between success and failure in your online sales campaign, based on how doggedly they’re willing to spread rumors and untruths about your company and your products on the Net. 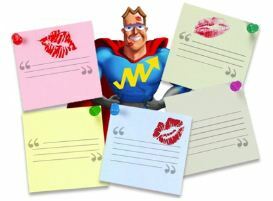 You’d be amazed how many forums there are for anonymous, lengthy reviews about your products and services, and how well these editorials, no matter how unjust, can rank when a potential customer enters your name (or keywords you’re using) into the search engines. 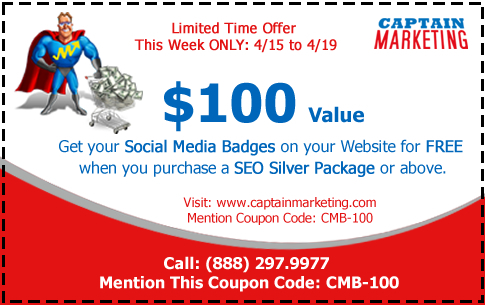 Time for calling Captain Marketing’s reputation management services to the rescue! Captain Marketing can investigate and inform you about these spurious claims-and then work to if not remove them from the Net, at least tuck them away in safe areas unseen by your potential clients and customers. “Why, I don’t care what that crank/ thief/ unscrupulous person has to say about us,” you might say. “Surely my customers will be able to discern the rantings of a madwoman/madman/strange person-living-alone-in-an-apartment-with-23 cats-and-5-computers from the reality of my business.” Don’t be so sure. Nielsen Rating Services found in a 2008 survey of Internet holiday shoppers that 81% of Internet shoppers read online shopping reviews. And 86% of Internet shoppers use online reviews as the primary means of deciding whether or not to buy, according to the online Internet consulting firm Kudzu, in a study conducted in 2008. Those are a lot of potential customers-and huge numbers of lost sales if a disgruntled client or business associate has planted something unpleasant about you on the Internet. Don’t ignore what could be a ticking time bomb for your company. Get Captain Marketing to defuse the situation before it’s too late! Are you featuring their testimonials prominently on your homepage? The flip side of reputation management-the happier one, frankly-is of course the reactions and responses from your happy customers about your products and services. Are you featuring their testimonials prominently on your homepage? Don’t underestimate the power previous clients can convey simply by reporting about the services you provide. 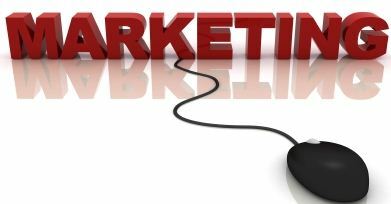 Consider having Captain Marketing adjust the format of your homepage to not only get in a simple, compelling marketing message, but also a space devoted to the glowing words of your customers. How to get reviews? Get on the phone-or offer a free gift or product in exchange for feedback of any kind. Positive messages can be shared, with the permission of the sender, and while negative reviews might be painful to read, they provide you an opportunity to follow up, make a situation better-and learn from past mistakes.